Stick Em Up - stick the components of the compound words, and see a new word emerge. Meets Common Core Standards: "CCSS.ELA-Literacy.L.2.4d Use knowledge of the meaning of individual words to predict the meaning of compound words." •	Choose the right compound word card by putting together the two word cards. For example, if the student has a card with a picture of a pan, and another one with that of a cake, she is looking for a card with a picture of pancake. The teacher may choose to mix it up by giving students the card with the compound word, and asking the students to find the two word cards that make up the compound word. There are 32 card sets – each set contains one compound word card, and 2 cards (labeled) that are part of the compound word. The compound word cards are not labeled on purpose. Students can either label the cards, or write it down in the recording sheet provided. 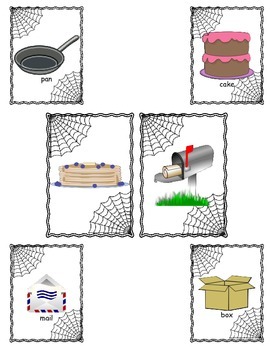 •	There are 15 sets of cards, in which one of the word picture cards for the compound word is missing. For e.g., picture card for chalk, and picture card for chalkboard (labeled) is provided. Students can draw and/or write down the missing word in the provided blank card, board in this example. •	There are 3 sets of cards with the compound word missing. The two word cards are provided. •	There are 2 sets of cards in which the compound word card is present, but the two word cards are left for the students to fill in. •	4 blank sets of cards give students the opportunity to make their own compound word cards. •	Play a card game with just the compound word cards. Students take turns drawing a card from the pile. If they can correctly identify the two words that make up the compound word, they can keep the card; otherwise it goes back to the bottom of the pile. The student with most cards wins. •	A worksheet with fun animal compound words is included. The students can draw the resulting compound word for fun. 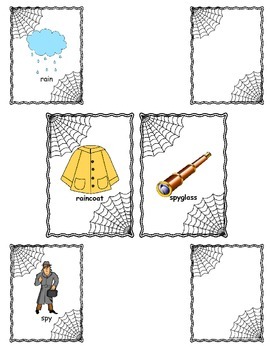 •	A recording sheet is included for students to write down the compound words provided here, or their own. 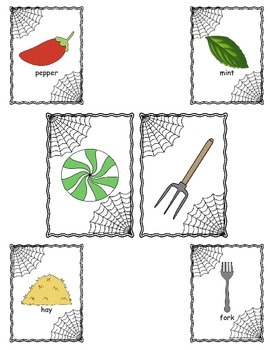 •	Look out for all the CVC words, great for emergent readers. 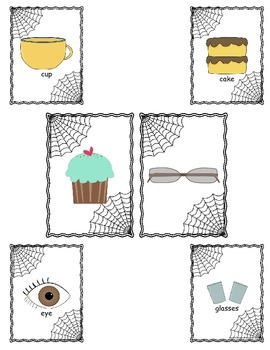 •	These cards are great for vocabulary. And drawing the missing pictures is a great way to encourage critical thinking.